Knitted hat practical and beautiful. However, it looks good only if is connected accurately. 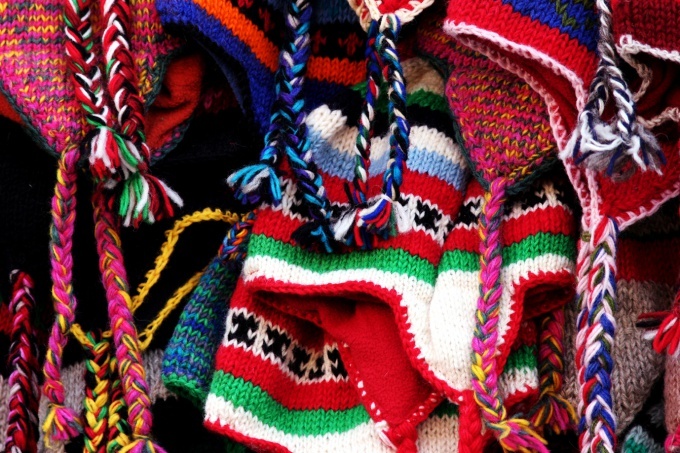 For the appearance of hats is of great importance end of the knitting. How to finish knitting hats — depending on the model. If you want to make a hat "scallop" on two needles continue to knit straight fabric to the desired height. When you bind the desired number of rows, clear the unclosed loops on the extra thread or the cord of the circular needles. Tear off a long string, pass it into the needle. Hat fold in half along the length and sew back seam, starting at the bottom. When he reached the top row, don't open the thread and pull the thread first edge loop of the beginning row, then in edge of end of row. Then slide the thread into the second loop from the beginning and the second from the end. Ssuite thus all pairs of loops. When they reached the middle of the row, which in this case will be front caps, tear off and fasten thread. Beanie-stocking (or other similar models that are rounded at the top) davaite to the top on straight or circular needles. Then turn down the number of loops in half, provyazat them in pairs. Next row knit in pattern, and then again two loops together. Tear off the thread, pass it in a needle with a wide eye and pull through all loops, starting with the first in the last row, i.e. so that the cap will not be dismissed. The noose tighten, fix a thread and tear off. It is possible to sew back seam of hat, if any. The hat, finish a bit differently than a stocking. First, similarly provarite loop two together, then purl row in pattern, again provarite loop two, then provarite four to five rows and close the loop. Cap "scallop" you can finish and crocheting. In this case it is better to fasten a hook, and the rear seam, too, and then put two unclosed loops of the last row of columns without nakida. When connecting the hook it does not matter, closed loops of the last row or not. Hat-stocking can be decorated with pompoms, and the "comb" will look better brush that can be done from the same thread you sewed or knitted cap.